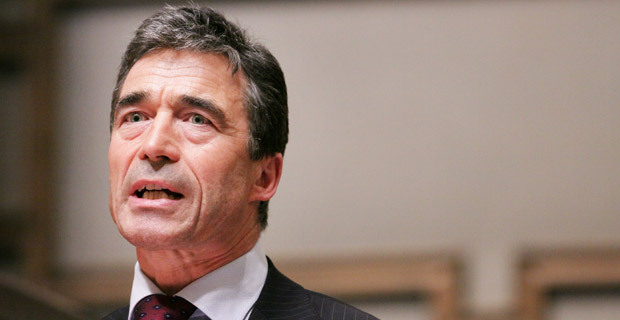 NATO boss Anders Fogh Rasmussen has announced military alliance will move troops up to the Russian border in response to resistance by eastern Ukrainians to an operation by the coup government to shut down a secession movement in Donetsk, Slaviansk and other areas of the country. The move by NATO arrives as the parliament in Transnistria on the Moldova-Ukraine border unanimously adopted a resolution calling for the international community to recognize it as a sovereign independent state. “According to the universally recognized norms of international law, a right of people to self-determination should be the basis of political decisions. Every state should respect this right,” said deputy speaker Sergei Cheban. A 2006 referendum held in the region that broke away from Romanian-speaking Moldova after the collapse of the Soviet Union showed 97 percent of residents were in favor of independence. The referendum also indicated the majority is interested in joining the Russian Federation. Earlier this month, the Russian Foreign Minister, Sergei Lavrov, said his government supports Moldova’s territorial integrity. The population of Transnistria consists primarily of Russian-speaking people. In addition to the more aggressive move by NATO, the European Union has indicated it may increase sanctions against Russia. Maja Kocijancic, a spokeswoman for Catherine Ashton, the EU foreign policy boss, said when “it comes to stage three, the preparatory work is in an advanced stage.” Kocijancic said that a meeting to discuss additional economic sanctions would be up to the president of the European Council, Herman Van Rompuy.